Diab Group has appointed Tobias Hahn as its new CEO. Hahn was previously president of Industrial Assembly Solutions and held various positions within ITT Flygt in Sweden and the USA. He has 10 years of operative and international experience from the Atlas Copco Group. He replaces Lennart Hagelqvist after six years as CEO, and in the interim Mats Persson, current EVP EMEA and India, will take on the role as acting CEO alongside his current role. ‘We thank Lennart for his efforts and important contributions,’ the company said in a press release. 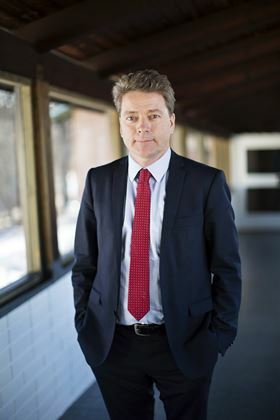 ‘After my few months with Diab I acknowledge how well positioned we are,’ added Mikael Jonson, chairman of the board. ‘We are geographically where we need to be, our brand is well respected and we are acting in a growth market. ‘The board of directors together with our owners has come to the conclusion that Diab need a different leadership going forward. And we believe Tobias is the right choice for Diab in the exciting future that is ahead’. Hahn will join Diab in the beginning of September. This story uses material from DIAB, with editorial changes made by Materials Today. The views expressed in this article do not necessarily represent those of Elsevier. 3A Composites Core Materials has appointed Eric Gauthier as its new chief executive officer (CEO).